How much snow did Liberty get today? Find the latest snow report for Liberty, with ski conditions, recent snow totals and snowfall in the weather forecast. Scroll left to see the most recently recorded Liberty snow totals for the last five days or scroll right to see the Liberty snow forecast for the next three days. 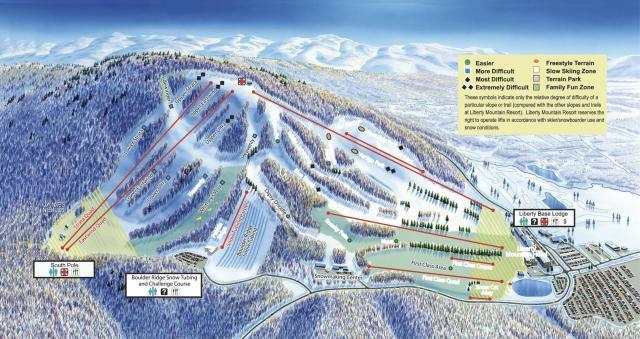 Read the snow reporter comments (if provided) for more details on skiing at Liberty for the day. See base depth recorded at the upper mountain, mid mountain and lower mountain stations, along with the current weather at the summit and base elevations, including wind mph and direction. Click through for a full weather forecast. How many lifts are open and how many runs are open at Liberty? 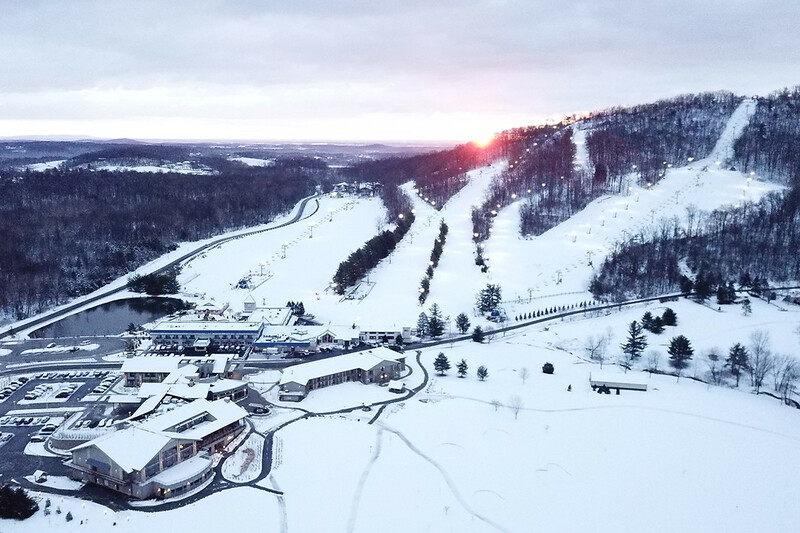 Check out the Liberty ski report, including number of lifts open, acres open and runs open, as well as the terrain park status. Click Add to Compare to see a side-by-side comparison of Liberty vs. other ski resorts (up to 10 total). Liberty snow reports are sourced directly from the ski resorts and are only recorded during the official ski season's opening to closing dates. it was as expected warm and slushy conditions. it was the last day of an awesome season exploring the ikon pass so no regrets. the park jumps are pretty good. what I get for going on a Saturday... Some of ice and some powder. only one bad area of brown slushy stuff on Lower strata... Far too many little kids out of control and experienced skiers doing their own professional slalom course on the beginner trails. Double Diamonds look great with lots of moguls but nobody on them trade maybe groom them out and let some of these want to be professionals stay there instead of racing on the beginner trails. I'll go somewhere else too many other options. Get Snow Reports, Powder Alerts & Powder Forecasts from Liberty straight to your inbox! Round out Learn to Ski and Snowboard month with one of these great lodging/lesson deals. Take the first step towards becoming a skier or snowboarder, with these cost-effective trials.